EMD Diesel engines prove their re- liability where it counts. Every day, EMD Diesel engines leave improving to make our marine Die- sels as efficient and dependable as they are today. Through years of research and development, EMD engineers have worked hard to make our engines run better without making them more complicated. And they've succeeded on both counts. 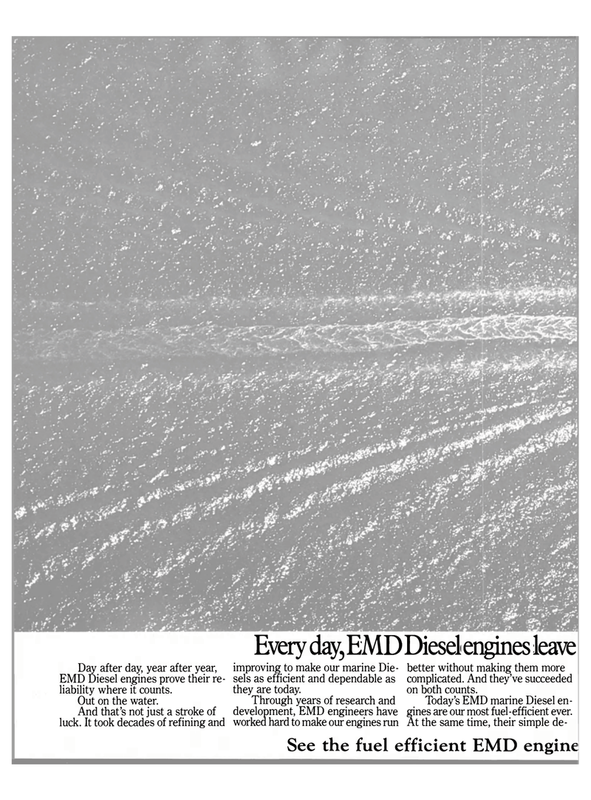 Today's EMD marine Diesel en- gines are our most fuel-efficient ever.